Welcome to our guided tours in the surroundings of Orsa. Our tours take you to beautiful nature and exciting culture, and the group size is always small. We listen to the birds or to the silence and enjoy the rural environment. Example of activities: Floral walks, bike tours to old summer farms and nature reserves, walks in the wilderness, back country skiing and family adventures (nature as playground). We also grow sea buckthorn and run a small forest farm. We arrange tours on request if you have your own ideas. Welcome! 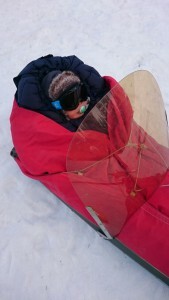 ”Rakt ut i snön” – Guided ski tour for families with children, We ski through old forests and frozen mires and enjoy the silence and the beautiful surroundings. 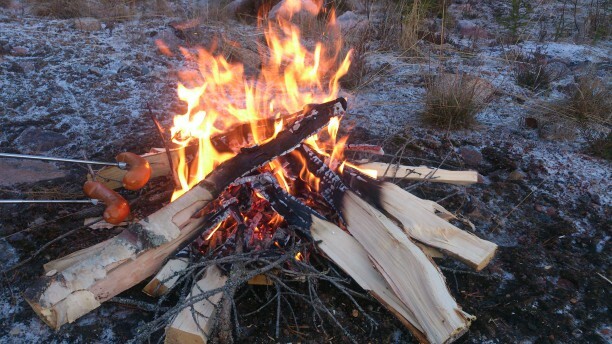 We make a fire and you can grill your own sausages. You bring your own hot drink. Price: 300 SEK for adults and 100 SEK for children below 12. Guiding and sausages are included. Please phone +46 70 305 05 24 for further information and booking. 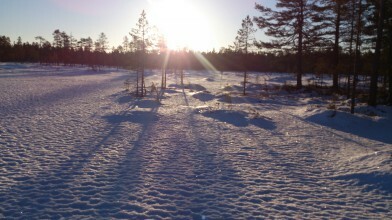 ”Morgon på skaren” – Guided morning ski tour in Koppången nature reserve. Enjoy the magnificent wilderness and the birds morning song. You bring your own food and hot drink. Price 300 SEK. Please phone +46 70 305 05 24 for further information and booking. ”Crosscountry-backcountry for beginners”. 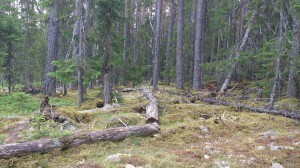 This is a tour for those who want to experience the nature and silence away from other tourists and prepared ski areas. Exactly where we go depends on the weather and the snow conditions, but it will be a place with no facilities at all, just snow and nature. 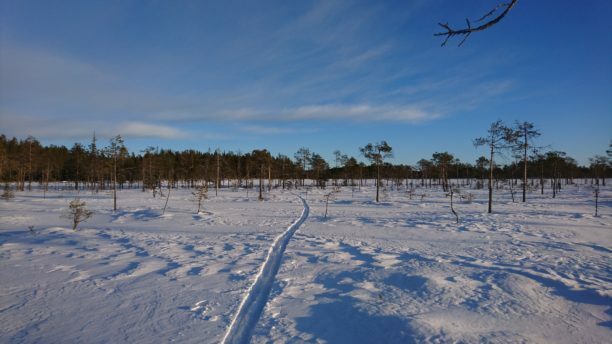 However, we will ski in a fairly flat landscape on mires and in thin forests. We will most certainly find many tracks from wild animals. We don’t go very far and definitely not fast. Practical information: On this tour I take only four guests in my car. You will have to give me your length and shoe size a couple of days in advance so that I can find suitable ski equippment for you. I pick you up where you stay in Orsa at 9 am and we get back around 12.30. 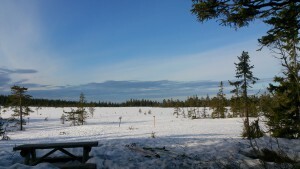 You bring your own small back-back with hot drink, a sandwich, a warm sweather and extra gloves. Outdoor clothing in layers so that you can adjust your temperature is recommended. Price: SEK 600 p.p. including guiding, ski equippment and travel. SEK 400 if you have your own skis. Please phone +46 70 305 05 24 for further information and booking. 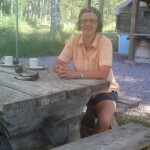 Guiding and ”fika” (coffee/tea/soft drink and cakes or sandwiches) are included in all tours. Family walk along Enån river. 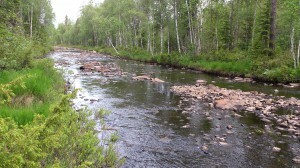 3 h. An adventure close to the town center of Orsa. Arranged on request. Adults SEK 300, children SEK 100, family SEK 760. Photos. Bicycle tour (40 km) including visit to Långtjärn nature reserve. 5 h. Bring your own lunch package. Arranged on request. SEK 500. Photos. Bicycle tour (20 km) including visit to Skinnaränget nature reserve. 5 h. Bring your own lunch package. Arranged on request. Adults SEK 350, children SEK 200, family SEK 1 000. Bicycle tour (30 km) with visits to old summer farms. 4 h. Arranged on request. SEK 450. 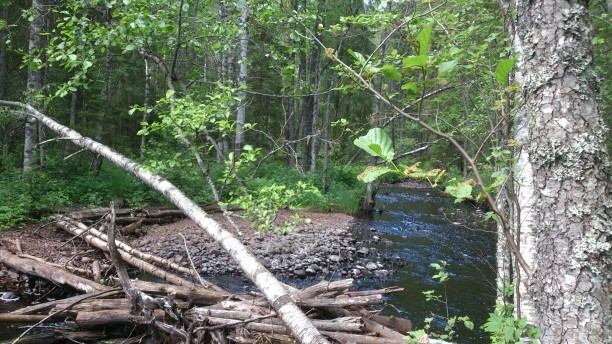 Wilderness walk in Korpimäki nature reserve. 6 h. Bring your own lunch package. Arranged on request. Adults SEK 650, children below 16 SEK 100. Photos.